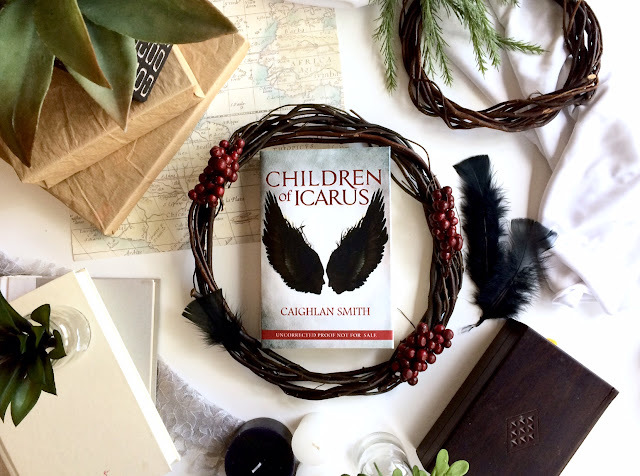 I was fortunate enough to get my hands an on early copy of "Children of Icarus". I've really enjoyed the deadly mazes and labyrinths that have shown up in a number of semi-recent books. Add greek mythology, a dystopian future and wings to the story and I was sold. The gist of the storyline is there a city surrounded by a huge stone labyrinth and each year a number of "lucky" children are sent into the labyrinth with the promise of peace, protection, and being given wings/turned into angels when they make it safely through the maze, however long that might take. But something far darker is afoot, and all those promises crumble to dust once you actually enter the maze. The simplest way to describe this book is a mixture between "Hunger Games" and "Maze Runner". However rather than having a gung-ho, tough, knowledgeable heroine we are given someone who shy, quiet, and wants nothing more than to exist unnoticed in the shadows. When she's thrown into the maze, rather than rising up and fighting back, she shrinks into herself and tries to disappear as her way of coping. I thought it was interesting having a main character who reacted so poorly to her situation. She was the epitome of a reluctant hero and for me it was a little refreshing to read a storyline from that point of view. Sometimes she was so reluctant that I, like her fellow labyrinth mates, wanted to shake some sense into her to get her moving, but she stays true to her character and it makes her arc through the story feel authentic. With that said, the writing is fast paced, the storyline is creative and interesting. 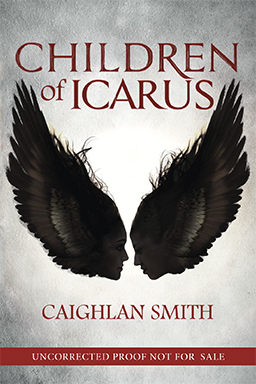 Caighlan Smith doesn't shy away from the gruesome bits but at the same time doesn't bother delving into wordy details that might overwhelm or bog down the story, which I thought was nice. Horrors are complemented by quiet time (where I felt like as a reader I could recover), but even with that the book was compelling and engaging and I couldn't put it down. It's a fairly quick read, for me it took less than a day and I'm already dying for the next book in the series.